i-CAT® puts the power of precision in your hands, simply and conveniently. The i-CAT scan provides direct access to advanced 3D treatment tools for implants and restorations, oral and maxillofacial surgery, TMJ and sinuses, and orthodontics. i-CAT’s flexibility allows your dentist to select specifically desired scans to manage radiation dose control for the greatest benefit to you. i-CAT produces high definition 3D diagnostic images for ultimate treatment efficiency. Its push-button ease delivers maximum control to accurately capture each patient’s unique anatomy. The i-CAT allows your dentist to develop the right treatment plan for you. Digital. Detailed. Done. The Cadent iTero™ digital impression system is dentistry gone 3-D. With iTero, your dentist takes a highly accurate digital impression for your crown or bridge area, completely eliminating the uncomfortable tray and putty impression. 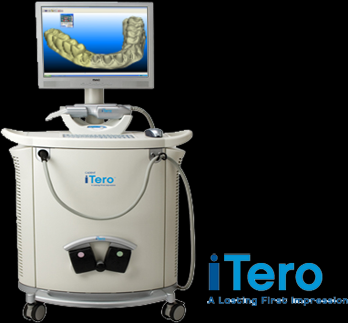 What’s more, iTero technology all but guarantees a perfect fit for your new crown or bridge, so you spend less time at the dentist’s office and more time enjoying your new smile. Take a few moments to get to know iTero. It is sure to make a lasting first impression on you—and your smile. X-rays are an important diagnostic tool in dentistry. But, x-rays can only give a two-dimensional side view. Now, Cone beam x-ray technology produces a high resolution, three-dimensional, color image with unprecedented detail. We can zoom through the image to view bone and soft tissue with incredible accuracy. We can see images from every angle, including the biting surfaces of teeth. This can be used to create a 3-D model to be used for planning and eliminate the need to take a traditional impression. 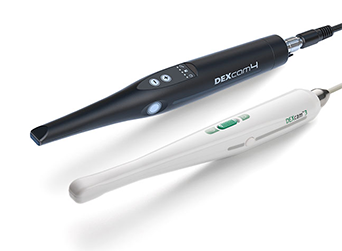 DEXIS X-rays are more consistent and clinically useable at a wider range of exposure settings than those of the other sensor* – even when radiograph conditions are not ideal. Practitioners benefit from a reduction in the number of time consuming, exposure-related retakes. 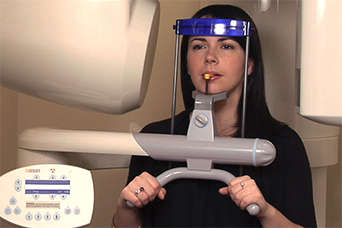 Patients benefit from the reduction in radiation.